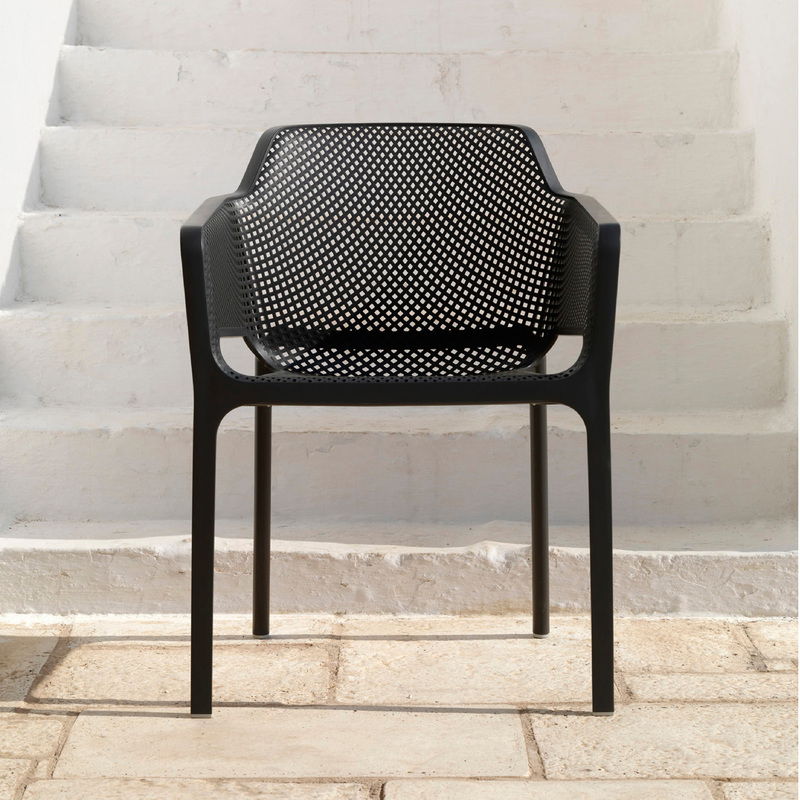 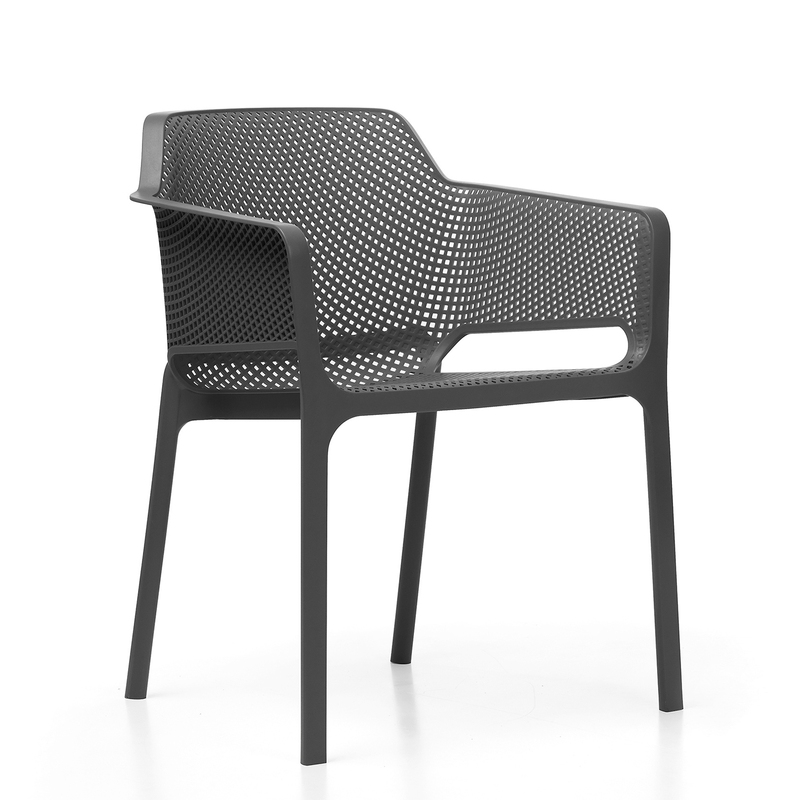 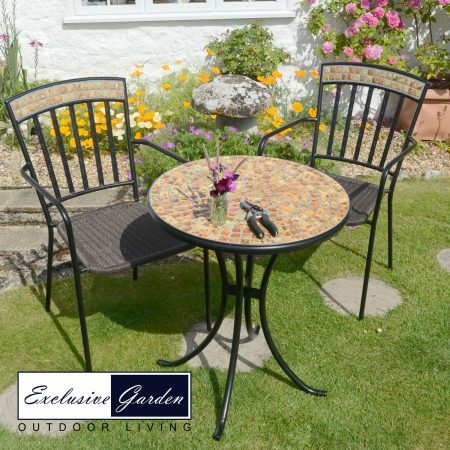 The Step table is made of resin with a steel insert hidden within the legs for added support, the set will look great on a balcony or the patio, the Net chair features a pattern of square holes and is a wide spacious chair. 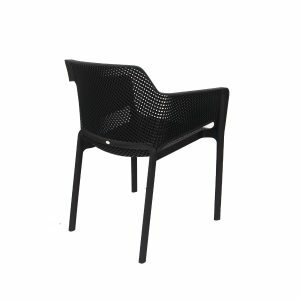 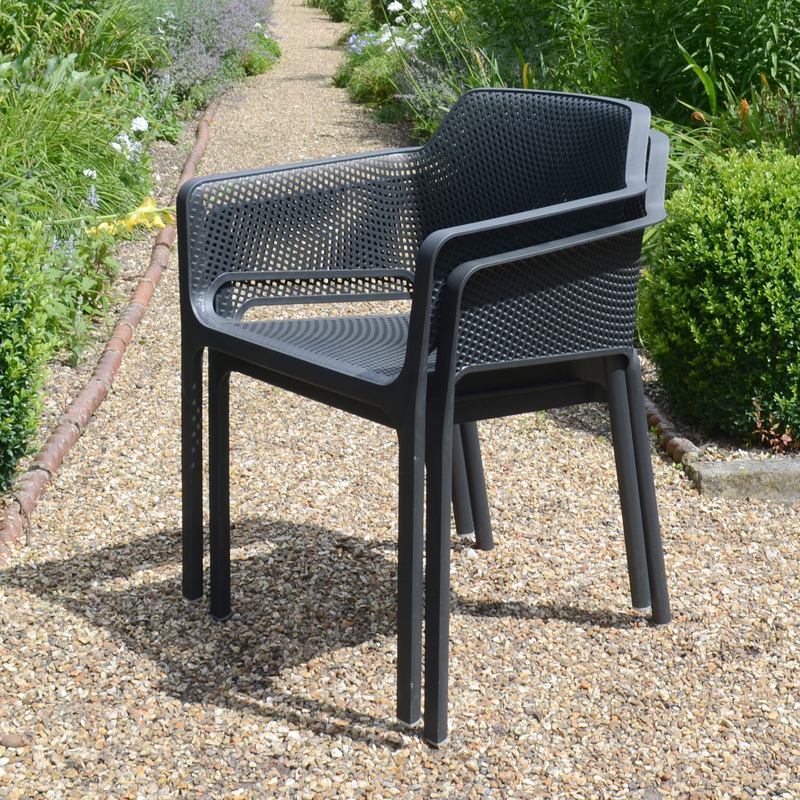 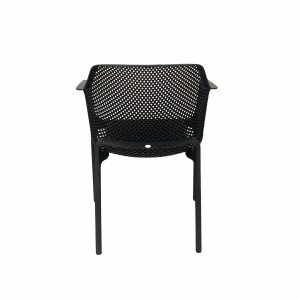 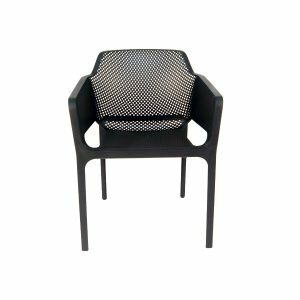 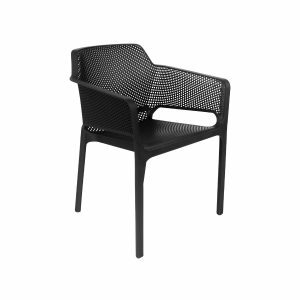 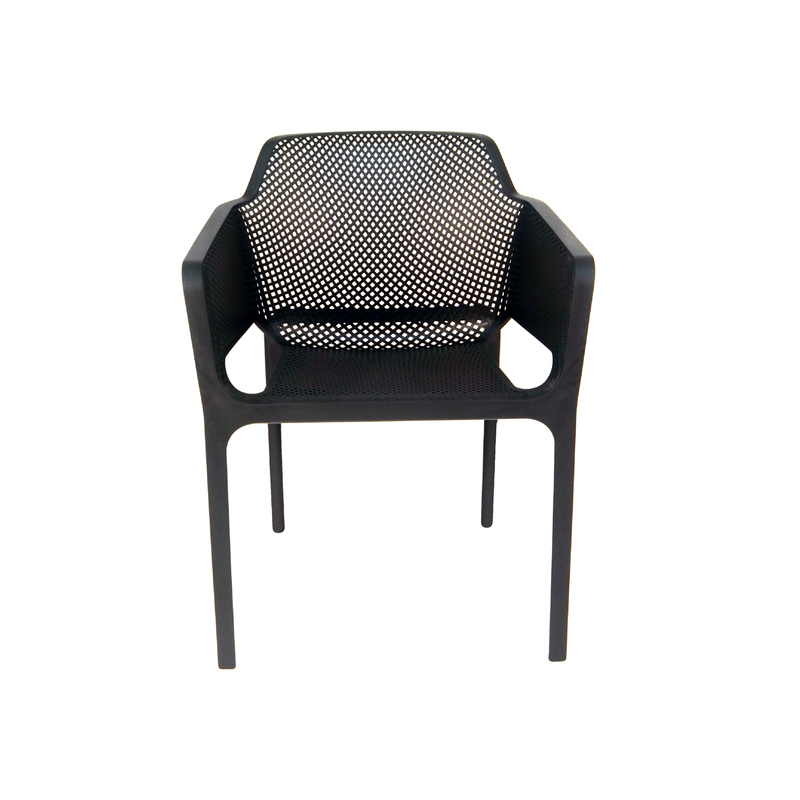 The Net chairs are made of polypropylene & fibre glass making them very strong yet light weight and comfortable. 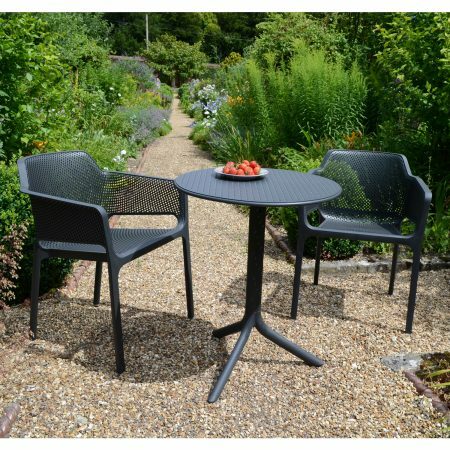 The Step bistro table has rubber anti-slip feet and is also made from polypropylene & fibre glass. 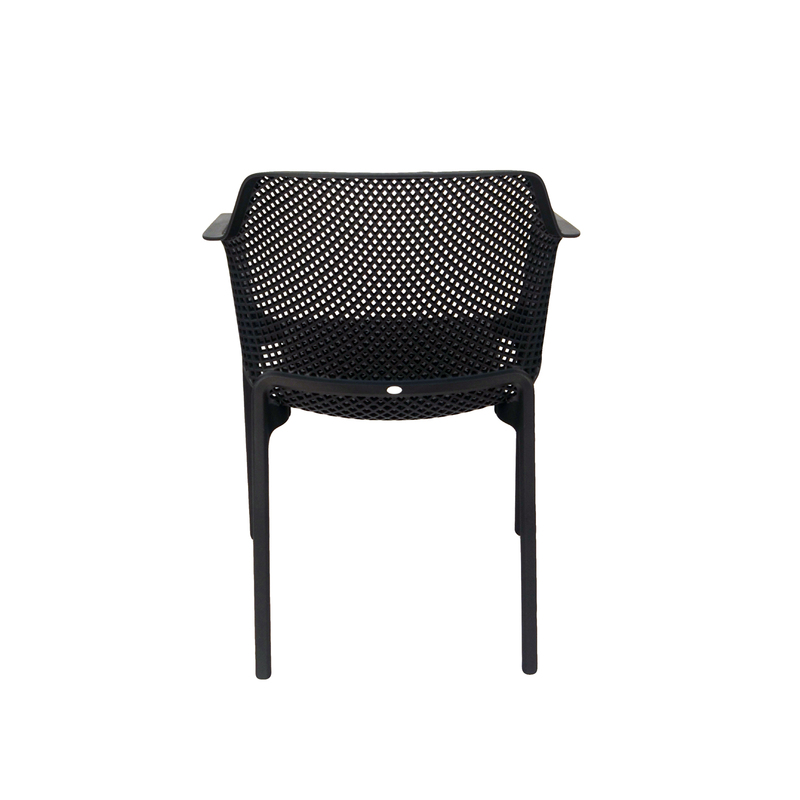 It is very easy to assemble and the top features a pattern of holes moulded into it. 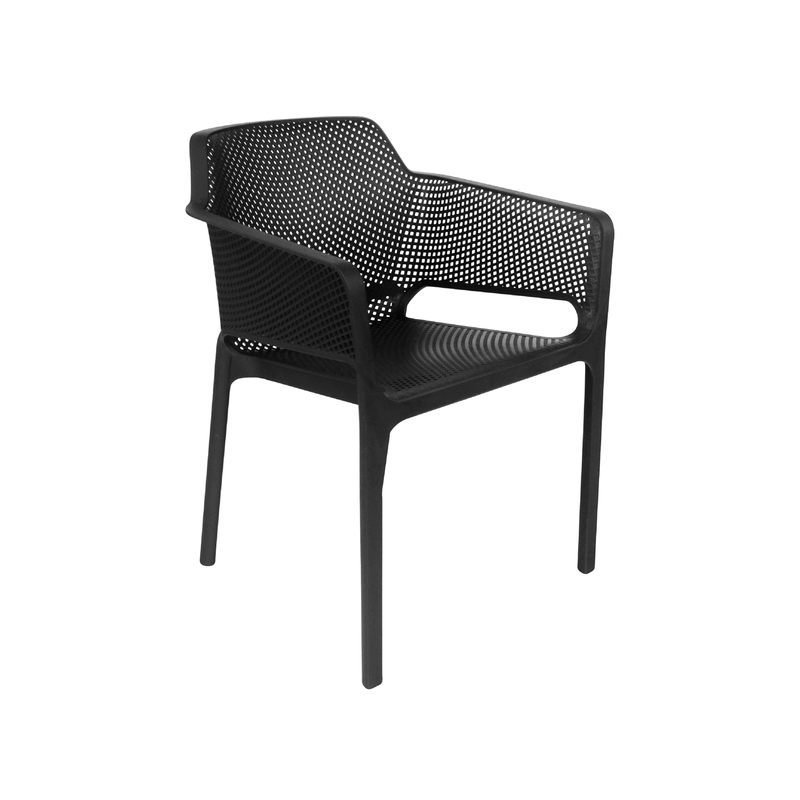 A modern and stylish set of furniture that works well on balconies and on small patios. 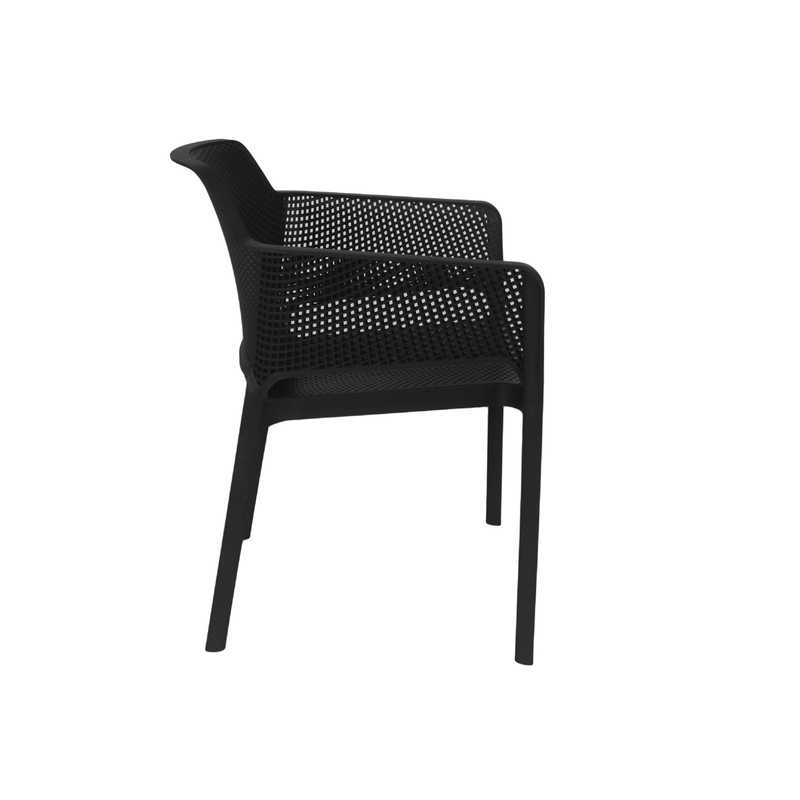 Extra chairs are available.